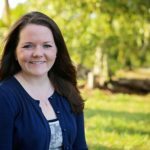 PLANT CITY, Florida (May 18, 2017) – The Nutrients for Life Foundation announced the selection of Melissa Raburn as regional representative in Florida. Raburn will provide grassroots educational and public awareness services in the state of Florida. Her primary role will be to work with primary and secondary educators in the school system to promote the Foundation’s plant and soil science curriculum, Nourishing the Plant in the 21st Century. She will also work with industry members to share the Foundation’s core programs and enhance community relations. Raburn began her duties on August 14. Raburn joined the Nutrients for Life team in August. Raburn is a 7th generation Floridian with strong ties to the agricultural industry. With her personal background as a past State FFA President, former Agriculture Educator and former employee of Florida Farm Bureau Federation, she brings a broad base of experience to the table. In addition, she works for her family’s strawberry and vegetable farm based out of Dover, Florida. With successful regional representatives based in California, Ohio, Idaho, Illinois, Iowa, Kansas, Nebraska, Louisiana and Washington, Raburn joins the team so the foundation continues to have “on-the-ground” representation in Florida. For more information about the Nutrients for Life Foundation visit www.dev.nutrientsforlife.org. Raburn can be reached via email at mraburn@dev.nutrientsforlife.org or by phone (386) 562-0718. The Nutrients for Life Foundation spearheads the mission o educate students and the public about critical soil nutrients in our growing world. Since formation in 2004, the Foundation has reached over 30 million people with resources such as “Nourishing the Planet in the 21st Century,” the Smithsonian approved STEM curriculum. Nutrients for Life’s partnership with Discovery Education has added a new dimension of innovative, interactive digital resources for the modern classroom. The Nutrients for Life Foundation is a tax-exempt status organization described in Section 501©(3) of the Internal Revenue Code. For more information, visit dev.nutrientsforlife.org.